Our clients, a couple looking towards their retirement, came to us in search of a house in which they could feel a sense of refuge; somewhere to peacefully dwell for the coming chapters of their life. Softly lit, relaxing, with a distinct presence. This part of the brief interested us; however, upon visiting the site we realized there was some reconciliation to be done. A subdivided lot with frontage onto a high-traffic road, surrounded by an unremarkable built environment and no vegetation – not exactly a place of respite. Generally speaking, the suburban fabric of Perth consists of single or double story houses, situated in the middle of their lots. In times past, the standard quarter-acre block (1,000s/m) could support this kind of residential typology: a dwelling in the landscape. However, as land sizes decreased with suburban densification, and house sizes increasing, this kind of centered lot-development results in strangled out-door spaces and wasted alleys flanking either side of the house. 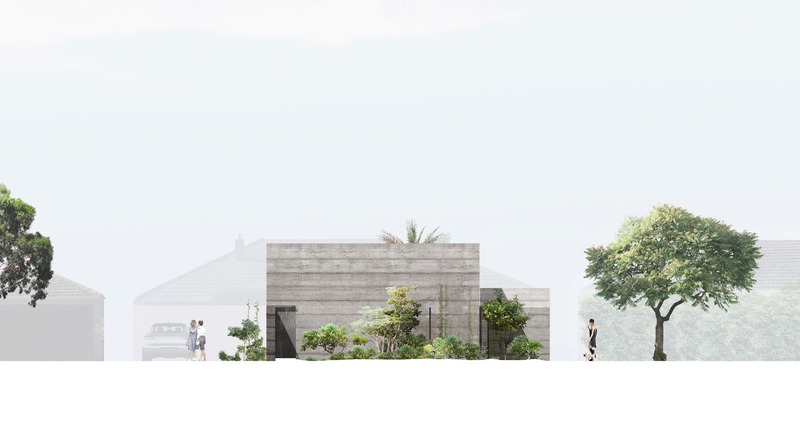 In order to achieve a sense of privacy and respite from the surrounding suburban landscape we decided the house should be enclosed, inward looking and occupy the edges of the site. By turning our back on the suburban context, we shield the occupants from the noisy street, and create an inner sanctuary within. This answers both the client brief and the issue of context through the design idea of an enclosed house. 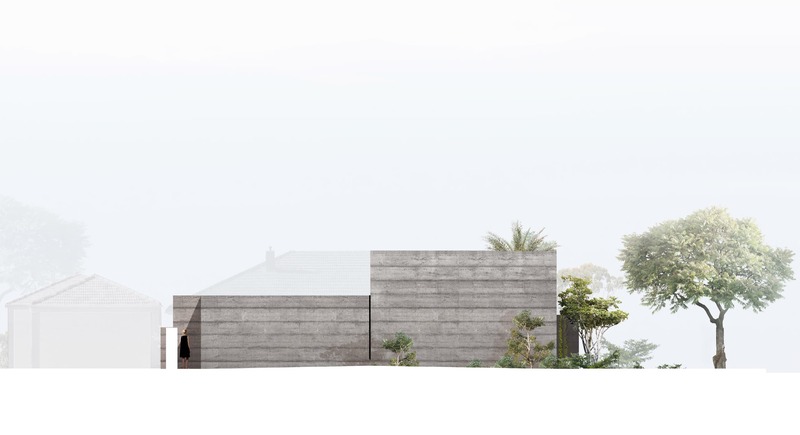 The name, Cloister House, is not so much a typological reference to the cloister but instead a reference to the idea of an enclosure and the creation of an inward and protected world. 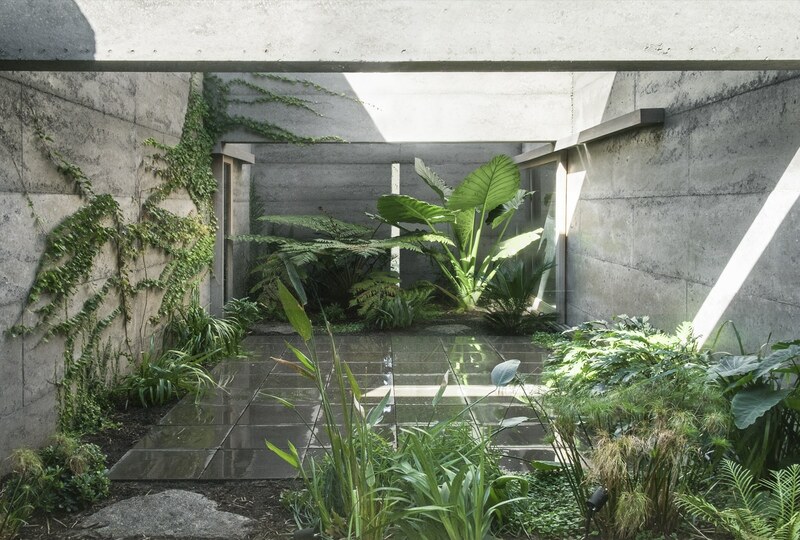 The courtyard is the heart of this house in every sense. It simultaneously orders program, frames the rituals of its inhabitants, distributes light and facilitates ventilation all the while denying any reminder of the suburban context beyond its massive walls. The brief required us to come to terms with the idea of ‘a family of two’ – the couple, although living alone, often have their sons visiting for a few days at a time. 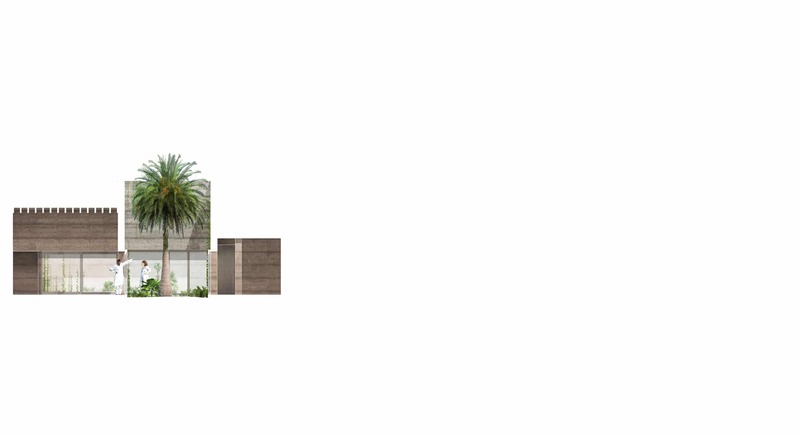 Our answer to this component was to conceive two areas: the area for our clients and the area for the sons or guests. With a distinct hierarchy in mind, we organized the area for our clients around the central void while the other zone is located at the rear of the house. In this way the everyday activities of the two inhabitants are continuously framed by the central void, and protected by its material presence. Strong winds and harsh sun are the major climate challenges when you design in Perth. Durable environmental solutions therefore must be embedded organically in the design, as additive solutions inevitably perish in the elements. The nature of being enclosed helps protect the inner space from the summer sun and the strong wind. 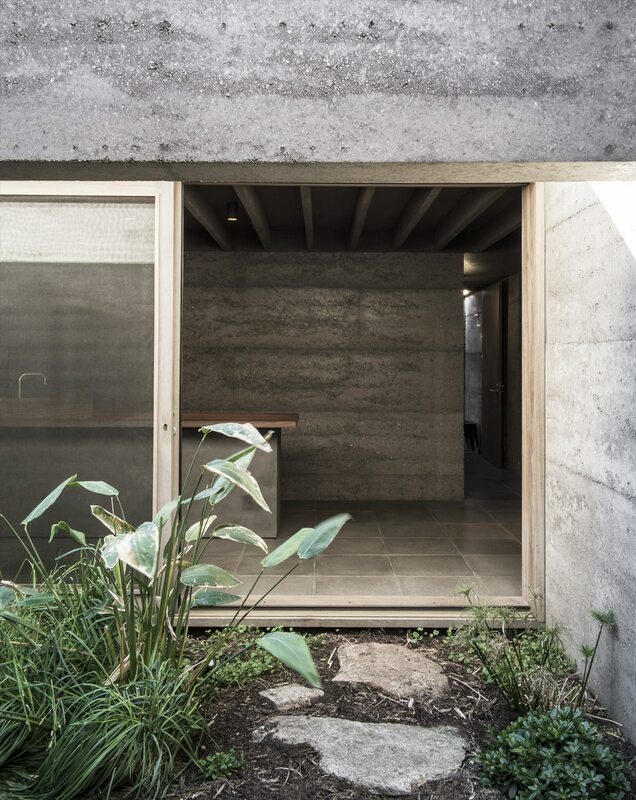 The courtyard mediates the sunlight and facilitates consistent cross ventilation, extracting the heat from the house during the warmer months. 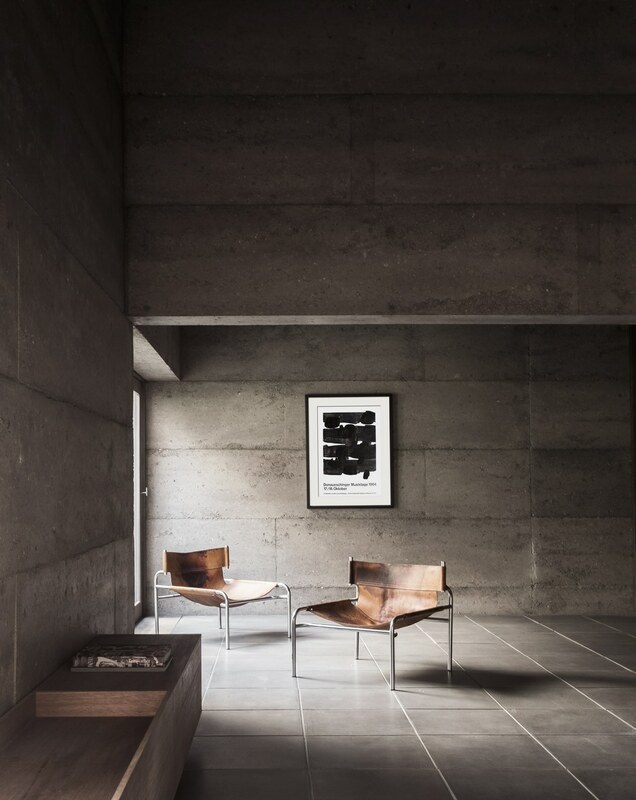 The thermal inertia of the rammed concrete walls and the use of hydronic floors add further comfort to the space. As is the case with all of our projects, we are interested in materials that tell you a story; materials that are washed out by time, with a natural feeling and texture. It is the timelessness of these materials that offer a sense of repose. Often born from conversations with artisans that we have encountered along our path, the materials were arrived at carefully and organically. Seeking this idea of timelessness, we needed a material presence that was monolithic and able to weather over time. 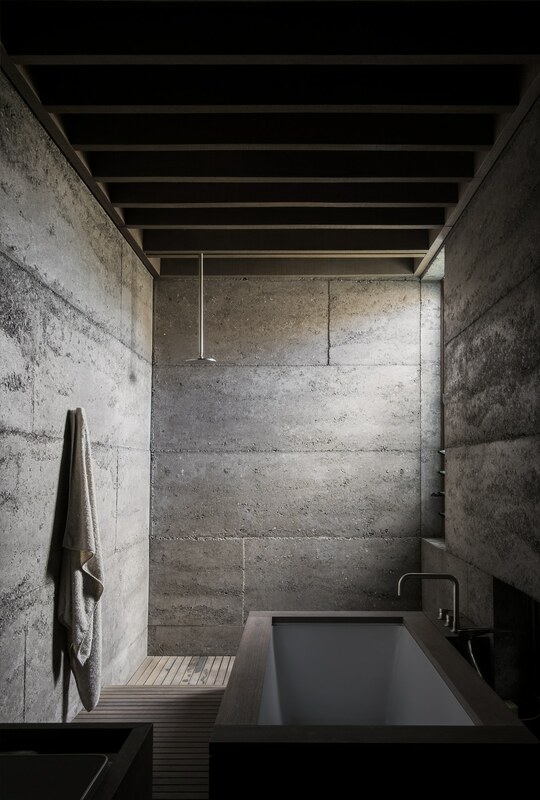 Constructed utilizing an ancient technique called pisé, rammed recycled concrete walls comprise the entire vertical structure. Rough sawn red hardwood is oiled and used for the ceilings and joinery, and humble concrete pavers give a uniform rhythm to the floor. 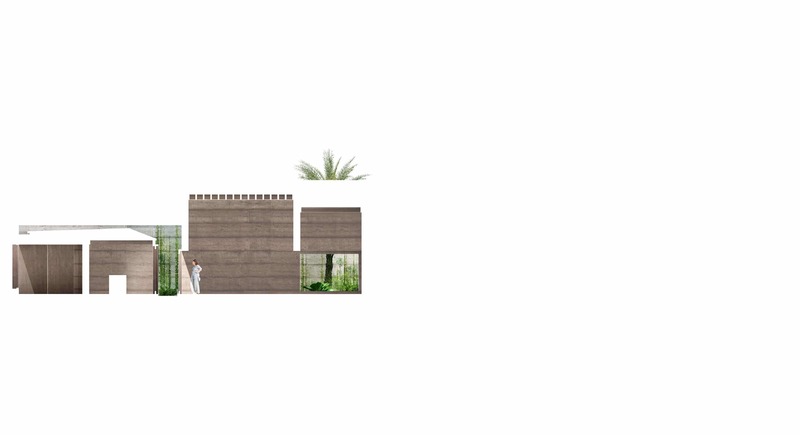 All of these materials softly and subtly reflect the light that enters the courtyard and is chromatically filtered by the vegetation. Despite the complexities, the project’s response to both brief and context remains simple, and innate: the house is conceived as a solid enclosure ordered around a central void. 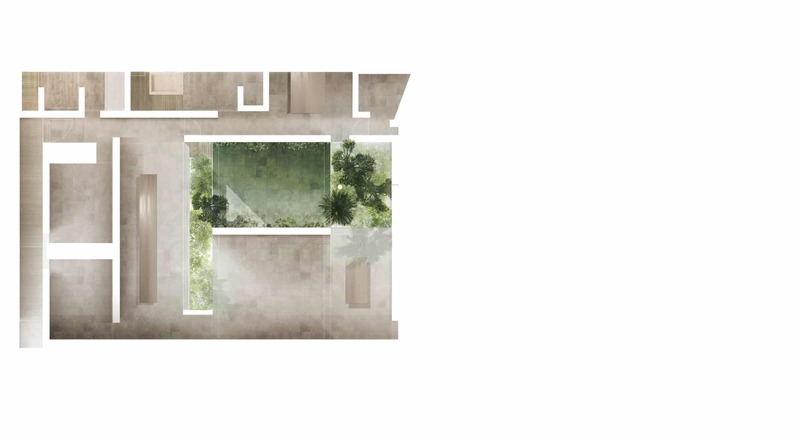 The daily life of a couple unfolds around the vegetated courtyard which offers openness to the surrounding spaces that are in turn removed from their suburban context. 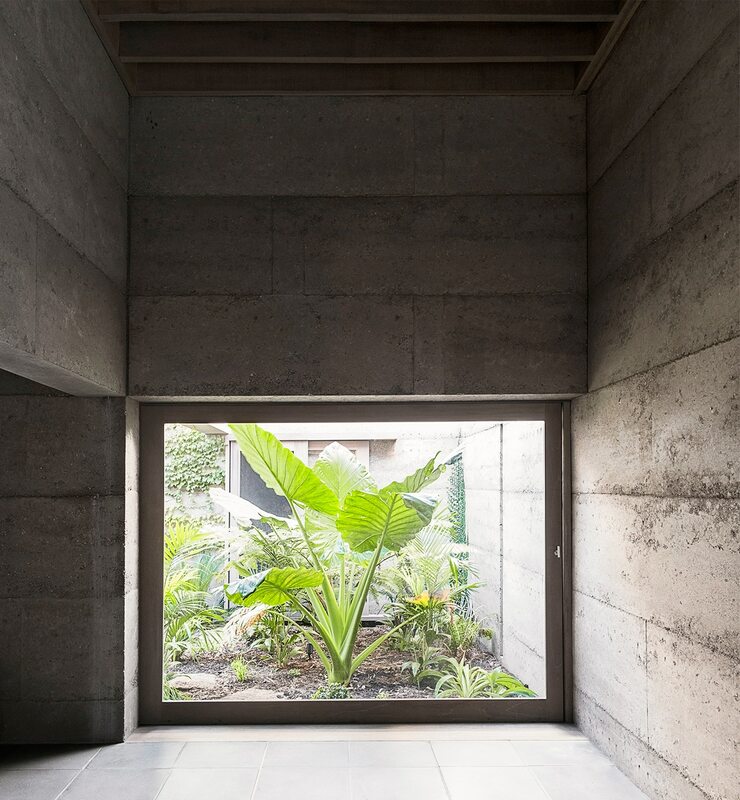 A sense of enclosure is expressed through the materiality of the house, which is entirely constructed of rammed recycled concrete. 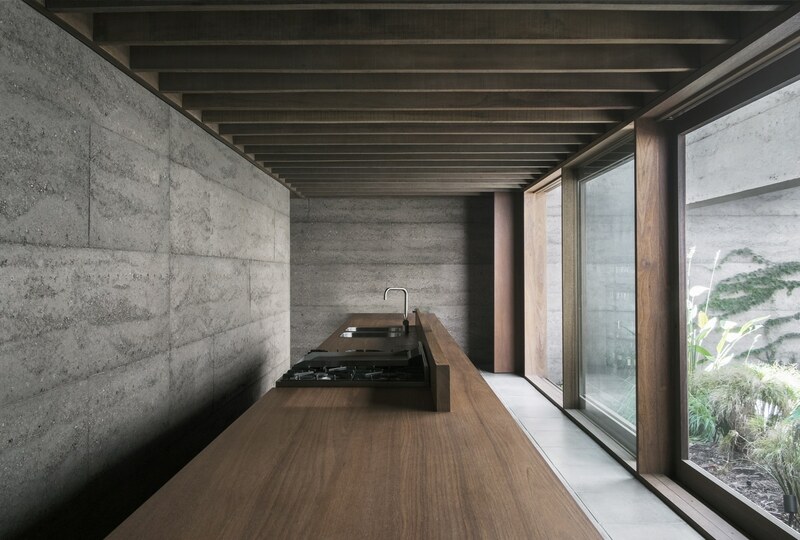 The use of only few raw materials generates a harmonized background that in turn places the emphasis on the space and the inhabitants’ lives within.